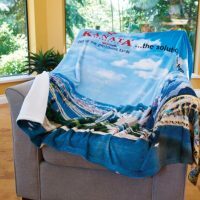 Kanata Blanket Company is a supplier to the Promotional Products Industry, selling exclusively through distributors. If you are interested in our products for your business, organization or event, please contact your promotional products distributor. To be put in contact with a distributor in your area, please contact us. 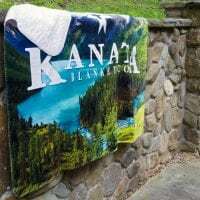 Check out our new 2019 catalog now! 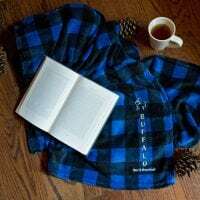 50” x 60” soft, plush throw. 100% polyester. Self hem. Edge to edge sublimation. One piece minimum offered and NO SET UP CHARGES! Faux micro fur/faux lambswool. 100% polyester. Whipstitch finish. 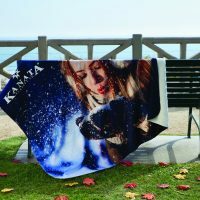 Edge to edge sublimation. 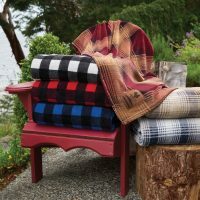 Our single layer Velura™ Cabin Throws are perfect to snuggle up in and complement fall and winter colors perfectly.